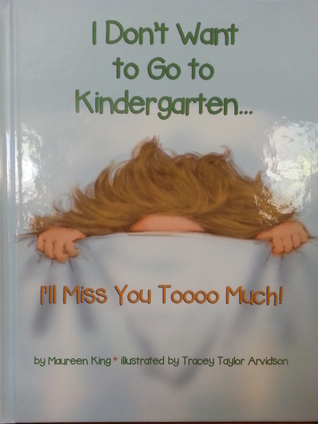 1Rad-Reader Reviews: FRIENDS HELPING FRIENDS: I DON'T WANT TO GO TO KINDERGARTEN...I'LL MISS YOU TOOOO MUCH! FRIENDS HELPING FRIENDS: I DON'T WANT TO GO TO KINDERGARTEN...I'LL MISS YOU TOOOO MUCH! "I Don't Want to Go to Kindergarten...I'll Miss You Toooo Much!" Summary: Tina doesn't want to go to kindergarten because she will miss Mommy too much. Bobby offers to teach her a super power that will help her feel happy and strong. Is that possible? This is much more than a book about starting school. The delightful story teaches kids of all ages a simple “tool” to respond more positively to ANY situation. Following the story, the “Notes for the Reader” section focuses more on the “super power” and how to reinforce it on a regular basis. Activities are included along with access to an online video and Free Writing Activity downloads. King, an author, teacher, and school counselor, wants to teach everyone powerful skills that she shares regularly with students and adults. These tools may seem simple, but they literally change the chemicals in your brain and cause you to “Power-Up”! The youngest of 5 children, I grew up in Southern California and love being around kids. I am the proud mother of 2 sons and grandmother of 2. My husband and I have been married for over 36 years. We enjoy walking, healthy foods, reading, and relaxing by the pool. We are passionate about learning new strategies to improve our lives and the lives of others while working together to bring “Mrs. King’s Toolbox Series” to kids of ALL ages. I earned a BA in Social Relations from the University of California, Riverside while focusing on early childhood education. 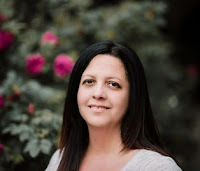 A few years later, I received both Multiple Subject and Single Subject teaching credentials on my way to a Masters Degree in Education. Although I loved teaching, I wanted to be able to spend more time with the most at risk students so went back to school for my School Counseling (PPS) Credential. While counseling students in grades K-12, I looked for a way to effectively help more families. I saw the need to introduce positive mental health strategies at an early age. It was also necessary for parents to learn how to use, and reinforce, those strategies. Writing a hybrid children’s-parenting-self-help book seemed to be the answer. In it, I teach kids and parents the same tool I use with middle school students and families almost daily. 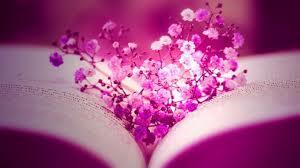 It is a simple strategy for happiness. “Mrs. King’s Toolbox Series” was launched in March of 2014 with the debut of my first book, I Don't Want to Go to Kindergarten...I'll Miss You Toooo Much I absolutely love sharing my book with children, parents, and educators. 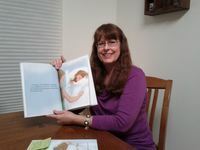 I follow my passion for helping others by working as a school counselor, doing author visits, and sharing free information on my website: http://www.abcabetterme.com.